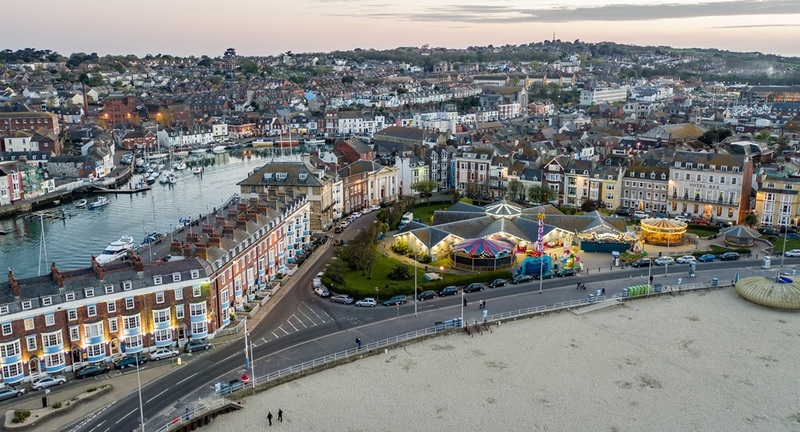 On November 26, 2018 almost £1 million from Britain’s Coastal Revival Fund was awarded to 25 projects designed to restore historic coastal landmarks and revitalize communities up and down the Great British Coast. Six of the winning projects include grants for sites which are classed as ‘at risk’ by Historic England including Northwood House Rotunda on the Isle of Wight, a former ice factory in Grimsby, an Elizabethan house in Plymouth, a historic artillery fort in Essex, a miners’ chapel in the heart of the community in St. Just, Penwith, and, the iconic Rock Gardens of Ramsgate. Whitehaven Lighthouses – a fund of £39,700 will see the repair and protection of 2 iconic 19th Century lighthouses at the entrance to Whitehaven Harbour; the first stage of the project will establish the historic value of individual buildings and create a viable and deliverable renovation scheme of which the whole community can be proud. Weymouth Esplanade Shelters – a fund of £50,000 will support the complete refurbishment of 7 grade II listed Esplanade shelters in Weymouth, improving the Esplanade public space and providing a space that enhances the conservation area, welcomes visitors and increases footfall in Weymouth. Arnside Viaduct: Connecting Coastal Communities – A fund of £50,000 will connect coastal communities through a new foot/cycle bridge across Arnside Viaduct; the foot/cycle bridge will extend Arnside Promenade across the viaduct, forming an iconic link in a long-distance coastal route from Morecambe to Barrow. Withernsea Pier Towers restoration programme – A fund of £48,600 will help to restore 2 historic Withernsea Pier Towers preserving and enabling them to become a natural focal point for the town to use in a wide range of social and community events. Funding has been awarded to 25 projects in coastal areas to help revive sites of significance and bring economic growth to coastal communities. The full list of winners can be viewed below. The Coastal Revival Fund was introduced in 2015 to 2016 to help coastal areas bring at risk heritage and community assets back into economic use. This year each project was able to bid for up to £50,000 of funding to help identify a new role for iconic buildings and structures in need of restoration. Minister Berry made the announcement while on a visit to the Withernsea Pier Towers Revival Programme in the East Riding of Yorkshire. The Coastal Revival Fund is supporting the project with a £48,600 grant to repair and refurbish the Pier Towers, preserving and enabling them to become a natural focal point for the town to use in a wide range of social and community events. “Restoring local gems can attract investment and help to tackle the deprivation that is a problem in a number of our coastal areas. There are great examples of restoration projects in our seaside towns, often bringing together the private, public, voluntary and social enterprise sectors. This funding will inspire more,” she consluded. Photo of Weymouth Harbour via Adobe Stock. See Coastal Revival Fund website.